← The last about YCC, or not. If it seems like I haven’t been here in a while. . .
It’s because it is July. 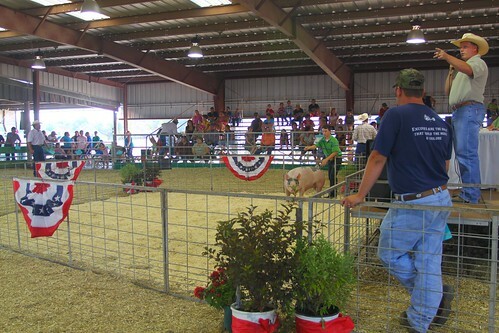 And around these here parts, July is one busy month: County fair, another pig show and the biggest farm show in the area. 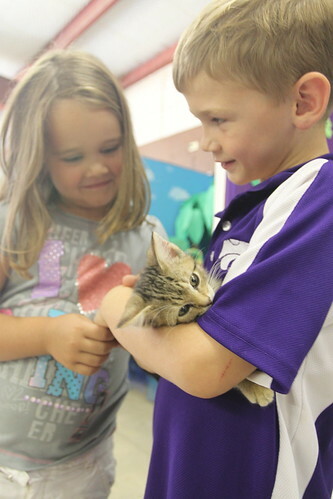 While I was working on some promotion for our county fair, I ran across these pictures from last year’s fair. It was a nice reminder about the joy of the fair – and I’m not being sarcastic. Truly, at this point, 10 days before the fair, it is pretty hard to remember anything but the stress. It’s about kids having fun. It’s about the community supporting a really great group of young people. But this? This sums it up. 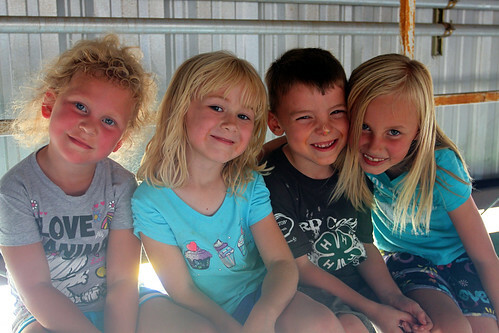 This group of little brothers and sisters were too young to be in “real” 4-H last year. 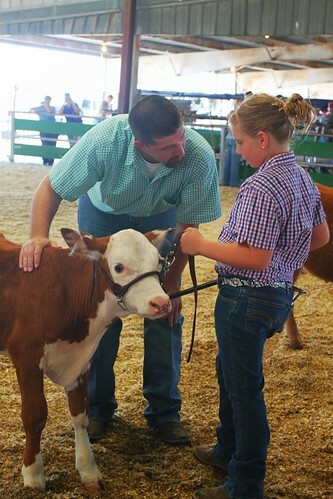 But, as anyone in 4-H knows, 4-H is a family project. It doesn’t matter if you are 5, 15, or 50 – everyone is involved. So this crew became fast buddies. That’s my boy there, surrounded by some pretty sweet little blonde girls. Something tells me that 10 years from now, this same crew will still be running around together only then, we might need to supervise them a little more closely.